Nashville Paw Foundation is an organization that aims to reduce pet overpopulation through the funding of effective spay and neuter programs and to promote pet adoption and animal welfare through positive community education. It funds various spay and neuter programs in our community, from mobile spay days for low-income families to special clinics for feral cats, pit bulls and more. 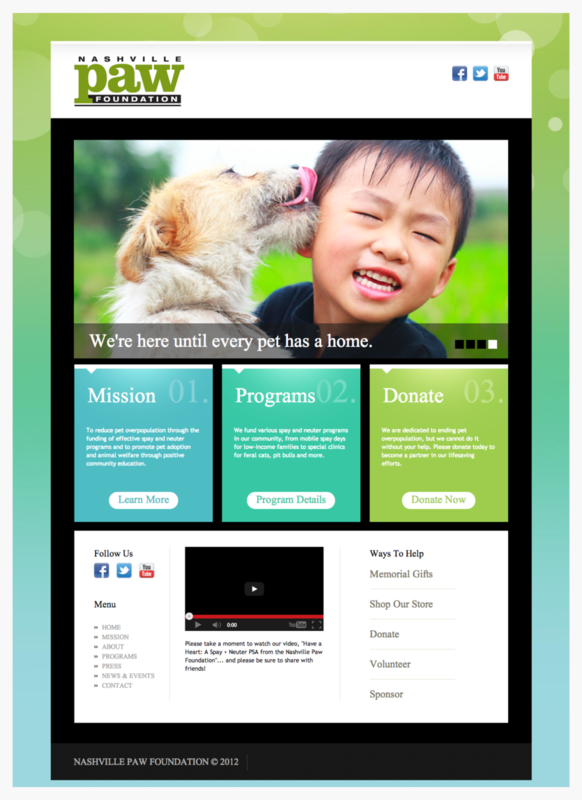 Nashville Paw Foundation needed a new web presence launched in advance of a media campaign. They choose Sitemason and Eliza Brock Software to produce the new site. We worked with the foundation's budget to produce a simple meaningful website, which we launched ahead of their media campaign.